Our family has this story about potty-training in the desert. I just ran across the photo, but as much as I embarrass myself on Sundays, I figured I better spare sweet little Magnolia the trauma of posting the using-the-plastic-pink-potty-on-the-side-of-the-highway picture. I’ll just tell the story instead. So, from previous posts you know that Josh I and moved out to the Bay Area, immediately had the kids, and he worked a very promising start-up company. It failed. It’s difficult to capture the impact an experience like that has on a new adults, freshly educated and feeling pretty goddamned idealistic, yet exhausted from the oh-my-god-it’s-so-hard-to-raise-these-kids. Basically, we were crushed. But this is not a hopeless blog post. We’d packed what we could in the car, shipped the rest, and were on our way back across the country to the Midwest. The drive was mostly desert–or maybe it just seemed that way. The kids were whiny. The adults were depressed. 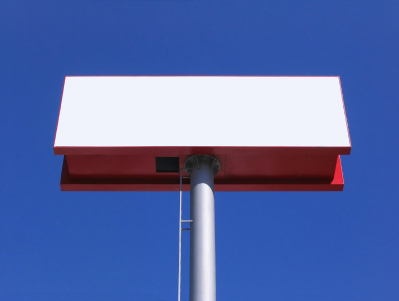 At one point I looked up a billboard that read, 1000 Square Feet of YOUR AD right here! Was this my life? Reeeeeally? Shortly after we’d gotten situated in our new home, Josh and I had an important conversation in which we both had confessions to make. I didn’t want to only be a parent anymore. He had never wanted to work in software. What resulted was that he would go to Medical School and I would become a teacher. The past four years have been about this transition and new beginning, and in many ways it’s still felt a little like potty-training in the desert. I would decide that teaching was not my real career interest, and begin to write and get piles of rejection on top of working a 40-hour-a-week office job. Josh would endure sleepless nights, dying patients, on top of rigorous academics. The kids would begin their own lives filled with struggling through music lessons, learning the joy of reading, navigating the confusion of friendships gone bad. And finally, now, we are so close to the transition years blooming into actual careers and at least slightly more settled lives. I can hardly wait for 2010. The potty-training is almost over. Thank you to both our sets of parents who continued to cheer our family on as we make our way to…the big potty? Oooh, do we get M&M’s for this? I’ll take mine in mint. Dawn, I can’t wait for you to read my book either. Now go find me a book deal! 😉 Also, you should totally still make Josh order the hamburgers. Missing you all, too! Love it Jody. Love the story – love the self reflection. love you! This post was a good reminder to me that when you have those “this is my life now? really?” moments, it’s not, it’s not your “life now” it’s just one chapter of your story.